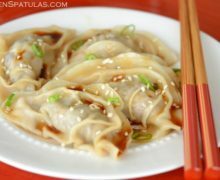 These homemade asian dumplings are SO delicious, and are filled with a mixture of ground beef, pork, and Asian flavors. 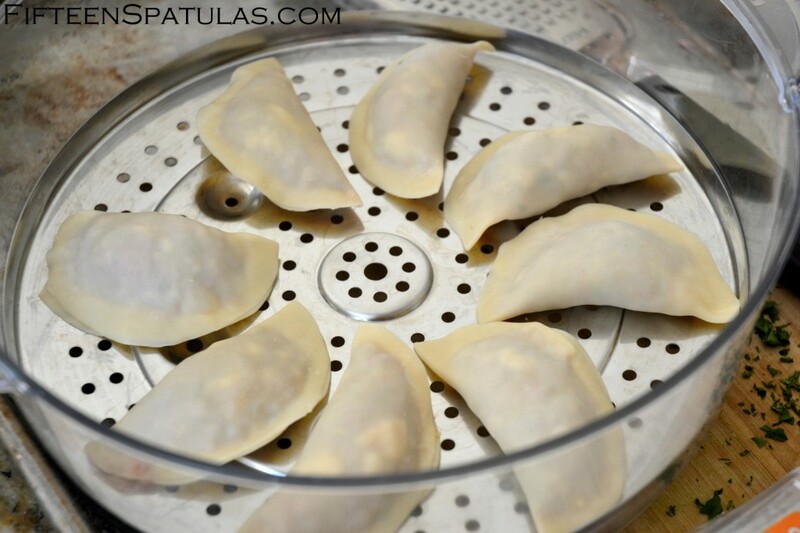 They are fantastic steamed or pan fried as potstickers. I keep wonton wrappers in my fridge at all times because I never know when I will get a craving for these. Asian dumplings are some of my favorite nibbles and probably the best thing about them is you can throw pretty much whatever you want in there. We all want to use up those leftover ingredients right? Potstickers are also very easy to make, they just take a little bit of time to fill all the dumplings and close them up. For that reason, I like to make these with a family member or friend since you can yack away while you knock out several dozen of these things. 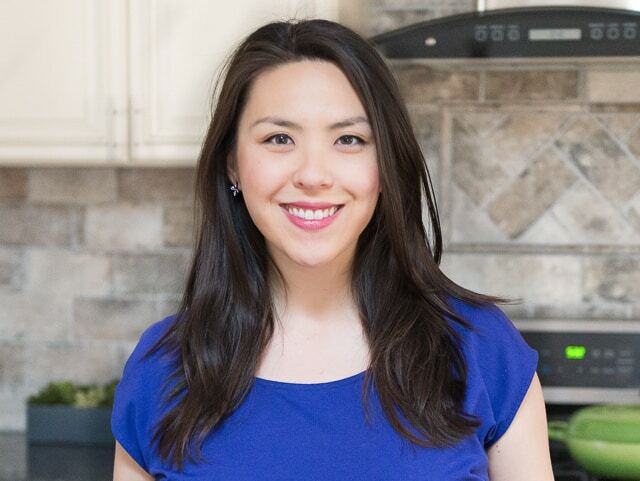 Make the filling by combining ground beef and pork with various asian flavors like soy sauce, hoisin, ginger, and scallions. Place a big spoonful in the center of a wontop wrapper. Whisk to combine all of the dumpling ingredients except the meat and wonton wrappers. Add the ground chuck and ground pork and mix very gently until combined. 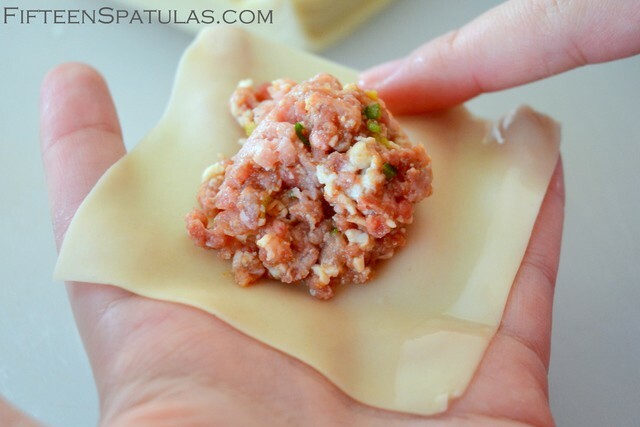 Place a spoonful of the filling into a wonton wrapper one at a time. To seal the edges, dip your finger into water and wet one of the edges of the wonton wrapper. Press tightly to close. Repeat with the remaining ingredients. Steam the dumplings for 12 minutes until the meat has cooked through. Stir to combine all the dipping sauce ingredients, and serve with the dumplings. Enjoy! Oh my delicious goodness! Love steamed dumplings of any kind but the flavours in yours are amazing! Great photo too! 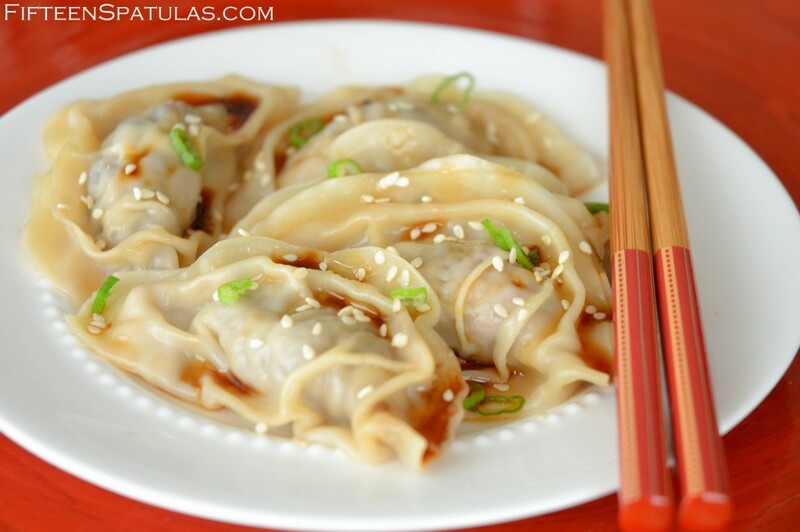 Dumplings are one of my favorites, but I haven’t tried them with Siracha sauce. Something new to try. The recipe has it all. Made these today, along with several other things, they were delicious! I got the hang of filling the wontons quickly, the sauce was very good! Thanks for all the great cooking tips! Hi Nancy, that’s great! 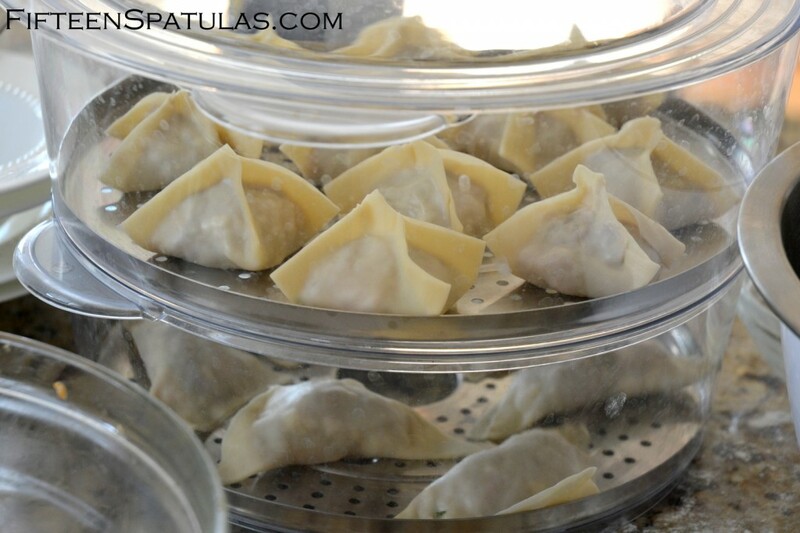 I love asian dumplings…they are some of my favorites! Glad the filling process went so well. These look great! I’m headed to the store to get the wonton wrappers this afternoon. Have you had any luck with freezing the uncooked dumplings? I love to have homemade stuff in my freezer for lazy days. Oh man, yes, these freeze wonderfully! My mom would get together with her sisters and they’d sit and make hundreds of dumplings, then keep them in the freezer. Then all you have to do is steam them whenever you want to eat. Hi! I would love to have the info on the steamer basket you are using. I lost the one I had for years somewhere, somehow. This looks like a cool and interesting replacement. Thanks!